Judy Lorene Hines of Harvey, Arkansas went to be with her Lord and Savior, Friday, March 16, 2018 in Waldron, Arkansas surrounded by her loving family. Judy was born February 28, 1948 in Tahoka, Texas to Harley L. Smith and Vera Estelle (Williams) Smith. Judy was 70 years and 16 days old. She attended the Solid Rock Pentecostal Church in Y-City, Arkansas. 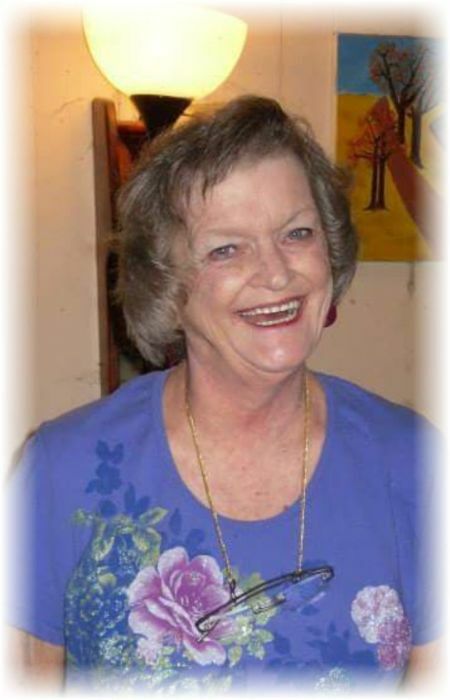 Judy leaves behind to cherish her memory, one daughter, Teri Brothers and husband Richie of Harvey, Arkansas, one son, Buddy Hines of Harvey, Arkansas and one daughter in love, Misti Owsley and husband Ray of Odessa, Texas. Grandma will forever remain in the hearts of her grandchildren: Blake Hines, Brody Hines, Wesley Brothers and wife Fonda, Rusty Brothers, Justin Brothers, KaRissa Hines and Krystle'n Vaught and husband Evan as well as 12 great grandchildren. Judy is also survived by one sister Tonya Smith and husband Terry of Abilene Texas. Judy will be missed by all that knew her and the many whose lives she impacted including a host of nieces, nephews, friends and neighbors. Judy was preceded in death by her husband Buster, one son, Douglas Hines, her parents, Harley and Vera Smith, one great grandchild Hunter Vaught and one brother, Roy Smith. Judy's life celebration will be Monday, March 19, 2018 at 1:00 p.m. at the Solid Rock Pentecostal Church in Y-City, Arkansas with Rev. Mike Shaddon officiating. Interment will follow in the Parks Cemetery in Nola, Arkansas. Arrangements are being entrusted to the Heritage Memorial Funeral Home in Waldron, Arkansas. Judy's pallbearers will be Wesley Brothers, Rusty Brothers, Justin Brothers, Dylan Brothers, Blake Hines and James Walker. Honorary pallbearers will be Evan Vaught and Brody Hines. Judy's visitation will be Sunday, March 18, 2018 from 2:00 p.m. until 5:00 p.m. at Heritage Memorial Funeral Home Chapel in Waldron, Arkansas.